It is something I have been hearing a lot on the internet, and is something that resonates with me. I know I need to practice it, cultivate it, make it a core value. Though I am not clear as to how to do that fully yet. But I wanted to take a step of practicing gratitude today. 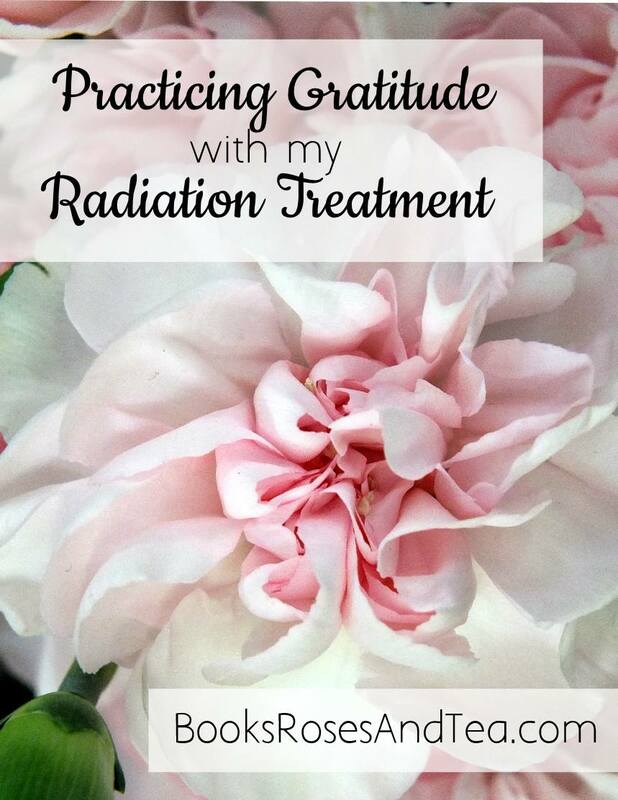 I am SO appreciative of my radiation treatment experience! Last week, I just finished five and a half weeks of radiation treatment for breast cancer. It was daily, Monday through Friday, for 28 days. I am FINISHED! YAY! I am grateful. I got to ring the bell announcing the end of my treatment. One of my radiation therapists offered to take pictures of me ringing the bell. 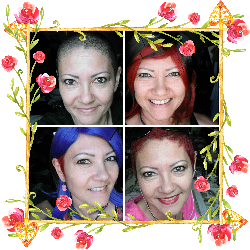 To celebrate, I wore my ninja princess floral top (which is a kimono style wrap top that I got just after my mastectomy, to have something pretty I could put on without having to lift my arms) and I wore one of the flower crowns I had made for my chemo treatments. Flower crowns are perfect for celebrating! And when you need some happy inspiration. I am so grateful for the medical office where I had my radiation treatments. The physical atmosphere there was just so beautiful and peaceful. It was a beautiful facility, with beautiful flowering trees all along the entrance. I took lots of selfies in front of these trees, hoping to get some of those flowers in the pictures. Inside the building was so also very nice, with nice furniture, fancier than my home. I don’t think these pictures give them justice. I also know that not all medical facilities are this beautiful, so I am SO appreciative that I was able to be in this relatively new building, with beautiful landscaping and interior design despite being there for cancer treatment. I am thankful for the big flat screen tv’s in each of the waiting areas always showing real estate reality shows. Maybe it sounds silly, but these shows were SO encouraging to me since I am in a very difficult living situation right now. These shows had people who had money to buy homes, which is a financial situation that I am currently not close to at all, so it was so great to be able to ‘experience’ through them the process of looking for a beautiful home in various price ranges. I am so grateful for the staff. My doctor, Dr. G, was so kind and so sweet, and so willing to explain any questions I had. The first nurse I saw, Nurse K, was also so kind and gentle, and assured me I would love Dr. G. All the Radiation Therapists were also very nice. There wasn’t as much time to chit chat with them, compared to the chemotherapy appointments, because the radiation treatments were so short. But it was nice to get to know them just a little. So, my Radiation Therapists were: M, T, T, S, A, and E. THANK YOU!!! Nurses K and C, THANK YOU!!! Dr. G, THANK YOU!!! 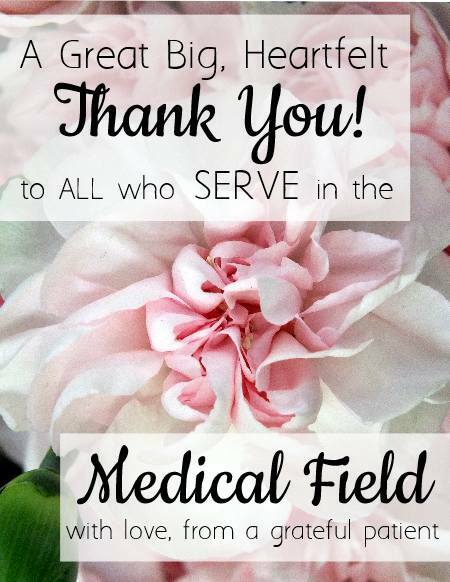 I SO appreciate all who choose to serve in the medical field! -tweet that! Just kidding, I don’t have a Twitter account. The radiation treatments weren’t painful. And I am so thankful. The table was hard, but they gave me a soft pad to put under my tailbone. The headrest was hard too, so I made sure to always wear a wig, that helped. Toward the end of my treatment, my skin started to get burned. It is still looking pretty bad, one week after my last treatment. And it hurts a little. But I put calendula cream on it daily, and it really isn’t so bad. I am thankful. I want to say that I am in no way trying to diminish anyone’s radiation experience by sharing how positive and painless mine was. I have not had the opportunity to research how radiation affects different people for different types of cancer. All I know is what I went through. May you receive healing for your cancer, and for any and all side effects of any of your treatment. May your life be long, and may you have peace and joy. May you spend your life able to pursue the calling on your life, and ,may your life have amazing adventures, joyful experiences, and relationships full of love. And may you find many, many things in your life to grateful for. May we all become better at practicing gratitude.